There is “significant interest” among students for details of universities’ income and outgoings – but many struggle to find the information, a survey has found. The Higher Education Funding Council (HEFCE) today published a report and letter to universities, calling upon them to make financial information much easier to access. The report includes findings of a poll of 2,400 students conducted by NUS Research Services showing that 40 per cent of students who wanted to find financial records about their institution were unable to do so. Of those who were able to find the information, almost half found the documents provided were difficult to understand. HEFCE, the British Universities Finance Directors Group (BUFDG), GuildHE, NUS and Universities UK, have drawn up guidelines for universities on what they must do to improve accessibility of financial information for students. The guidance urges institutions to position the information in a much more prominent place on their websites, avoid using jargon, and provide a useful but not excessive level of detail. Universities should give a full account of income from student tuition fees and investments and expenditure on the running of academic departments and maintaining buildings and facilities, it says. 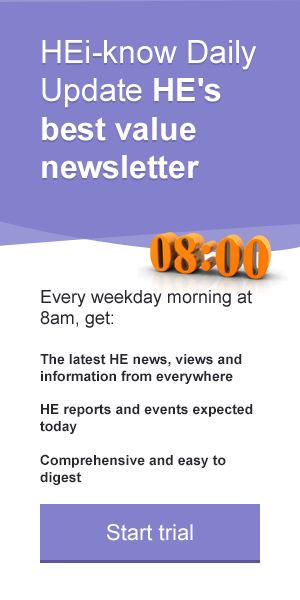 Hefce wants institutions to make the changes on their websites by the start of the 2014-15 academic year.